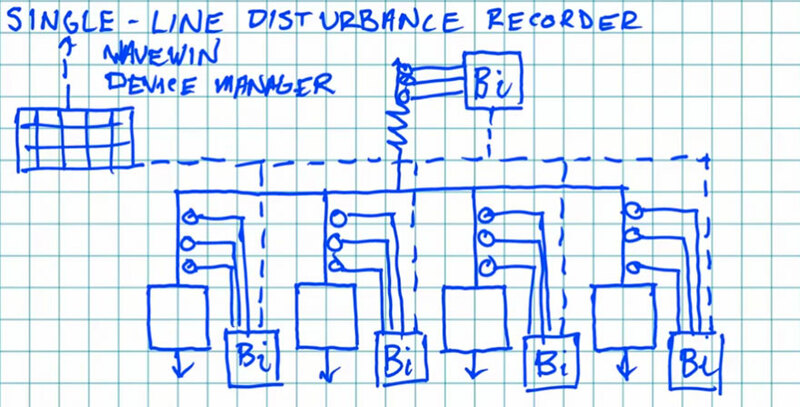 Conventional centralized disturbance recorders require several sets of CT and PT wires to be run from every monitored point on the feeder back to the station house and the centralized Digital Fault Recorder. All this wiring is quite expensive, and can present ground differential problems. Multiple Bitronics Event Recorders installed next to feeders, buses and transformers visually eliminates these costs. They can be set to trigger on various current and frequency thresholds, and can utilize IEC 61850 GOOSE cross-triggering to trigger event captures from other Event Recorders. Records are automatically retrieved using Wavewin Device Manager and Wavewin Event Analysis Software.